The expectation now of most employees, not just Millennials, is of a workplace where the functional processes are quick and easy to administer. At home, the majority of us manage our lives via a mobile device, booking, ordering and banking via fast to access, increasingly fingerprint or voice secured, Apps. It would be foolhardy of me to suggest that many, if any business is in a position to leap full-scale into the digital workplace (Digital Workplace in Europe study), but those that are not even making inroads are going to find themselves at the back of the queue for the future talent pool. The $million question is how on earth do you achieve the ultimate digital experience with a minimal budget and / or limited resource? The answer is, you bridge the immediate gaps with extension Apps. This is by no means a shortcut, but in fact a functional leap into the digital future. In a very succinct explanation, it means extension Apps can be built to bridge process or performance gaps in most functions, in most businesses. Making it even more supportive of the digital workforce, the responsive design of all Apps built on the SAP HANA Cloud Platform can be used on any device. The SAP Fiori interface guarantees a standardized user experience across all Apps. The end result of these Apps is not only increase efficiencies in an organization, they can really help you to differentiate your business as a place to work to new employees whilst maximizing employee engagement with existing staff. 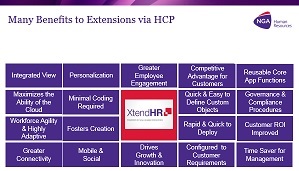 With the business case so strong for extension Apps and customer enquiries growing, in November 2016, NGA Human Resources launched XtendHR, the first global business focused only on creating business process extensions on the SAP HANA Cloud Platform. Our primary objective with XtendHR is to kick start digital HR transformation for organizations by bridging the technology gaps that most have in everyday operations. While SAP HANA Cloud Platform is a new technology, my colleagues and I at XtendHR, an NGA Human Resources business, absolutely recognize how it presents to help revolutionize all business processes, although our initial focus in on helping to bring HR and payroll processes into the digital workplace. Our vision has seen us appointed as founding members of SAP’s HANA Cloud Platform Advisory Council, working with SAP and other trusted partners to lower the cost and increase the speed of workplace modernization. The XtendHR Apps all empowering employees by giving them access to information they need, when they need it so that they feel engaged within your organization, and can work well and easily. 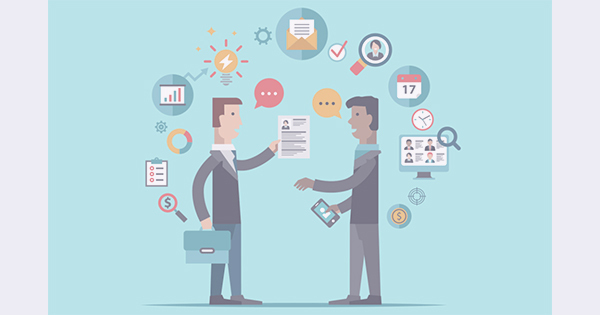 The first five Apps published enable HR and payroll professionals to extend the portfolio of services they can offer to employees. I will be at the SAP Innovation Forum on Thursday 1 March with my colleagues, Amit Soni, one of the technical geniuses behind the XtendHR Apps, and Dan Wilson. Please feel free to visit us on Stand 13 to find out how you can jump start your digital workplace transformation by bridging the process gaps between on premise and HR in the cloud. 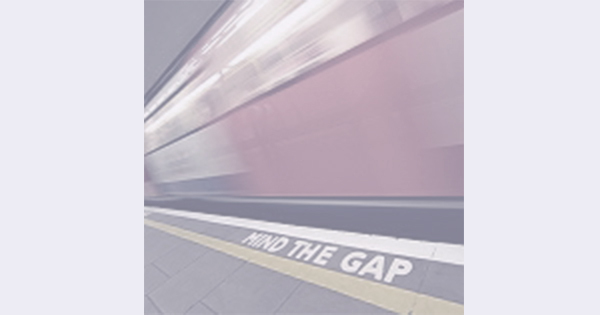 Many organizations don’t actually realize they have these gaps or if they do, the opportunity to fill them, so a quick conversation could open your eyes to a fast track to future performance success. 3) Workforce mobility and flexibility. This really important for a growing percentage of employees. They expect everything to be mobile. All of the above are essential if you are to attract, recruit and retain the best talent and operate a business that is time and cost efficient. 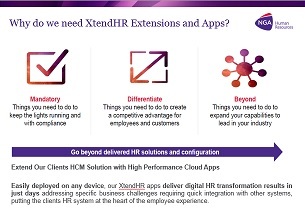 XtendHR Extension Apps are all about creating efficiencies, visibility and self-service and enhancing employee experience and business process efficiency. All of these rid frustration and gain time, resource and money.